How can we begin to thank you for everything that you have done for us? Making the decision to leave the city was definitely a difficult one for us, but with your guidance, and expertise the transition was easy. When we first spoke with you, we didn’t know where to begin, but you made everything easy starting with showing different areas, advising and guiding us through the purchase of our first home. I know that there were endless challenges (and lots of indecision) but you were patient and kind, supporting us through the entire process. You consistently went above and beyond, from talking to my parents, putting up with our crazy availability, picking us up at the ferry to show us around. When the time came, you recommended not only a mortgage broker but helped with an attorney as well, working in conjunction with them while they answered our endless questions, and finalized the purchase of our first home. You even came to the closing to make sure that everything went smoothly! Thank you so very much for the help of selling our house. We couldn’t have done this without your help. Please share our testimonial with your prospective clients so that they may see what remarkable advisors you have been to us. In this tough housing market, it is a daunting task to be able to move a product quickly. In our case, we needed to do it with lightning speed. This meant that we needed to choose the right agents for the marketing of our house and also strategically come to the right price to be able to generate maximum interest. If either of these factors were off, it could mean the death knell and we would’ve been stuck in the selling mode for months and months. With the counsel of Lois and John, we were able to price it correctly and achieve results immediately. Even though the marketing tools were beautiful, we didn’t even get a chance to use them. We received offers before our open house that following weekend and we accepted an offer that we were happy with, within less than a week. “How is that possible in this economy?” everyone asked. The answer: We were advised well by Lois Fein and John Schwartz. Apart from the all-important pricing of the house, the next important would be the staging of the product. John was able to help stage our home maximizing the beauty and livability of it. It presented the right “stage” for a potential new home buyer to see their things in the house. The agents viewing the home before the open house were eager to call clients immediately and set up viewing appointments before the public got there. It was very exciting. Comments like: “What a gorgeous home” and “This will get snatched up very quickly” boosted our confidence that we went with the right agents. On a personal note, we have worked with many agents before who were very professional and did a good job to cross their T’s and dot their I’s. Lois is more than that, however. She offers warmth and strong comfort that you will be taken care of and you know it’ll be taken care of. When she says she’ll call you, she does. When you need to get a hold of her, even for trivial things, she’s there for you. She reminds you to de-clutter a countertop before a showing and to get forms and certificates to your lawyer to make for a smoother closing. She can be a tough executive agent with warm motherly tones and yet stay professional throughout. She has made this usually anxious process unusually smooth and relaxing. Thank you Lois for all you’ve done. I hope others will get to experience how extraordinary you truly are. My husband and I sincerely recommend Lois and John’s services. Buying and selling a home can be a daunting process. However, with their combined years of expertise and experience, we were able to do it quickly and efficiently. Before listing our condo, Lois and John gave us great advice on staging, pricing and marketing. As soon as our listing went up, we had foot traffic and they were present at our showings. They truly gave our listing the utmost attention throughout the process and always had our best interests in mind. Additionally, they helped us search for the perfect home in our desired location and price point. We were able to seamlessly move out of our condo and move into our home within the same week. My husband and I are so grateful to Lois and John for making our happily ever after happen! We love our new home and the most incredible part of this experience is the friendship we developed. Lois and John are a class act…before, during, and after the sale! 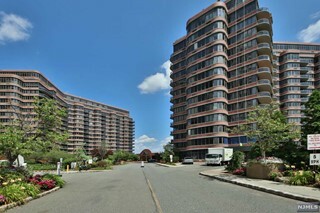 "Lois was so helpful to me when I moved to Edgewater, NJ from out of state for my new sales position. 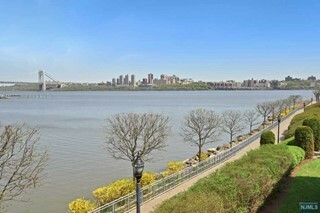 She quickly helped me find an amazing apartment in Fort Lee NJ, in just one week! She had a real in depth knowledge of the area and was able to answer any question I had about my new community. Lois is extremely personable and kind as well which made the otherwise stressful process so much better. I am very grateful and I love my rental!" Lois and John are full service real estate professionals. My wife and I engaged Lois and John remotely as we live on the West Coast and our home was in New Jersey. We literally sold the property without once having to visit for cleaning, repairs, contractors, staging etc. Lois and John handled it all, and this was a particularly challenging sale. While the property is relatively new and beautiful, it did have what I refer to as construction deficiencies that needed to be attended too. Lois and John managed the entire process from identifying deficiencies, engaging various contractors and ensuring the work was completed to our satisfaction. They also directed staging, and spent a great deal of time at our home escorting contractors and vendors on the property. We were thrilled with their service and highly recommend them to anyone needing to sell especially when there are special circumstances involved. I am excited to share this testimonial because we were so happy with the services of John and Lois. John was very patient and explained steps in buying a home especially for us, first time home buyers with little knowledge about the buying process. He was available on weekends and nights via email, phone or text and very prompt about returning your calls. Even though we didn't use his recommended broker or lawyer, he made sure to communicate with our professionals and to assist me with making sure emails were sent out promptly and that our entire team was on the same time line. When it came to repairs and things we wanted fixed in the house we were purchasing, John made sure to stay on top and it and worked hard to get us as much credit for our repairs as we could from the sellers. We were very happy with his service and would certainly recommend others to use Lois and John as their agents. John and Lois were a pleasure to work with. They were extremely persistent, thorough and hard working. Being that we have 2 young children they did an excellent job helping us stay focused and helped us in staging our home. Their agenda was solely getting us maximum value for our home which they did. Additionally, John and Lois helped us find a home to buy. They helped us find our perfect home and didn't stop until we found that right house. They know the real estate business very well and know the real estate market even better. Hiring John and Lois to be your real estate agent on either the selling side or the buying side of the equation is in your best interest; I know it was for us. Lois and John's knowledge and experience with the Legend Hills community is unmatched and were invaluable in helping us sell our home at a fair and reasonable price and within a short amount of time. They also did such an amazing job with staging that we barely even recognized our home! We couldn't be happier with the end results. We tried to sell our unit with another agent for months and could not. As a board member I thought selling our duplex condo would be easy, but was I wrong. Enter John and Lois. They were tough with us; but after an unbelievable make-over of our home (John spent almost a whole day) that included significant de-cluttering, hanging up of their borrowed art work, re-arranging furniture, repainting selected areas, and getting our home featured on an upcoming episode of NBC's Open House NYC, our home sold. When they told us the reason our home did not sell was due to ineffective marketing we were skeptical, but nothing else was working. The care and effort; the incredible photography that was taken and the sensational print material that was produced was the most professional we have ever seen. You have made the impossible possible! 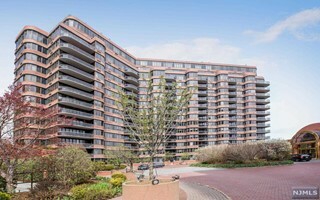 We decided to sell our condo in Edgewater in the worst possible declining market. The best thing we did was to contact you because you are true professionals in this field. 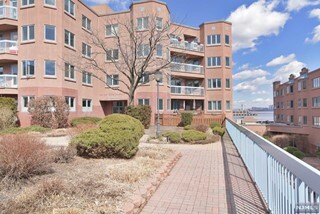 Our listing was up in NJMLS within days, the pictures and the virtual tour really showed our condo in the best possible light and the marketing material was impeccable. You also worked closely with other brokers, attorneys and banks to make this deal happen. Thanks to you, we were able to sell our condo within a two month period and closed on the scheduled date with no issues. I will always recommend the "dream team" also known as Lois and John, to anyone. 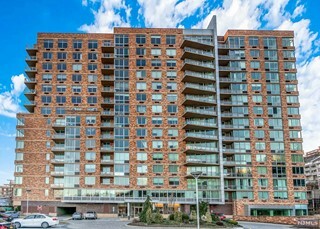 Lois Fein and John Schwartz were very knowledgeable and professional in advising, marketing, and expediting the sale of our condominium. They were always available and understanding of our concerns. We highly recommend them. We interviewed several realtors before selecting who we wanted to represent us and our house. Lois and John were the only professionals who had a complete presentation, which included market values, a pricing strategy, a marketing strategy, and details on how they would be able to successfully execute their plan. Their professionalism and attention to detail impressed us throughout the entire process. They were always accessible, and went the extra mile when asked. I would highly recommend them, as they were highly effective, creative, and a pleasure to work with though out the transaction. Lois worked incredibly hard for our family and helped us sell our condo in a tough market. She was always present for showings, gave us great advice about staging and showing the home and became a good friend to us as well. She also spent hour (and hours) with us showing us homes in Northern NJ area and we found our new home throuh her as well. I would recommend Lois to anyone thinking about buying or selling in this area. She knows her business and is an absolute pleasure to work with. It is miraculous to find a real estate agent, let alone a husband and wife team, who are able to listen, to grasp who you are and what you want; and who can study your home and advise you to make some minor changes that will freshen your home, highlight its attractive qualities so that prospective buyers will stop, look and think. Lois and John are the magical duo. They are exciting personalities and were a pleasure to work with; they are deeply committed and work very hard to accomplish the objective. They are highly skilled salespeople, with an array of creative talents that is rare – ranging from staging the photography of the home, to decorating it; and they understand the psychology of the buyer and of the seller. When you meet them, you immediately feel that you are in the hands of highly competent professionals who are worthy of your trust. I also appreciated the excitement they feel when you give them the opportunity to sell your home. One might expect veterans to be jaded after helping 500 previous clients sell or purchase a home. The opposite is true: what you get is a level of charm, enthusiasm and purpose that they must have expressed when they met their very first client. Lois and Jon love what they do! And they found a wonderful couple who loved our home and purchased it. We heartily recommend Lois and John as real estate agents who are at the very top of their profession. Our home in Lodi was listed with Lois Fein and John Schwartz of Prominent Properties and sold approximately within three months. What sets them apart from other realtors in addition to many other items is they offer professional photography and have the ability to stage your home with tasteful items that enhance your property. Also, they are involved in all aspects of the sale from the listing to closing so the sale will be a smooth transaction. I highly recommend their services. Mr. John Schwartz is the best real estate agent I've ever had. He understands the local market very well and knows details of each building of which I requested his opinion. That helped me a lot in my decisions. He's pumctual and efficient, always replying to my emails or phone calls very quickly. I like his ways of doing things. Thanks so much for the help in this transaction. As a duel agent you really were fair when negotiating between me and the seller. We wholeheartedly recommend Lois to anyone seeking an agent and advisor. From the start the process, Lois gave us very practical advice about how to market our home and what we can expect from the process. She did a great job generating foot traffic and we saw immediate results. Most importantly we always felt Lois was one our side - a testament to this was the advice she gave us to turn down an early offer which she felt was too low (and turned out to be right). Both Lois and her partner John (they make a great team) were always present at our showings and tried to work around our schedule - with two very smalls kids this was important. Her service was very personalized and we find that this sets her apart from other real estate agents in the area. Finally, once we were ready to make an offer on our new home, Lois was critical in keeping the process moving forward, especially when it came to working with the banks and lawyers - this is very valuable in today's difficult market. We always appreciated her reassuring words - and they turned out to be true - we love our new home. You know that I can't say enough about all that you did for me. I knew after my conversation with you, that you were head and shoulders above any other realtor I had met. Not only were you familiar with all of the areas that I was looking at moving to; you knew the details of each building along with their amenities, transportation and shopping options and overall value. You listened to what I wanted, helped me noarrow down my choices and made sre that I got everything I asked for. And if that wasn't enough, you got me a better price than I could have ever imagined. I thanks you very much for all your hard work and I will be referring you to all of my friends! You and John are great realtors. You obviously know the market and how to sell real estate. You gave us your opinion on how to fix things around the condo to get it sold quickly. The buyer actually mentioned that one of the things that drew her to buying the condo was the warm colors of the walls which you recommended. After seeing other condos on the market for months or a year, I was actually surprised ours got sold in within 2 months. You and John are also very personable and if I know of anyone who is either looking to buy or sell something around the area, I will recommend you. Thanks for all you did. On behalf of the New Jersey Association of REALTORS (NJAR), we are pleased to present the enclosed check for $1,000 to your organization (Affordable Housing of Metropolitan Edgewater (AHOME) in the namne of Lois Fein. Lois is a member of of our Association. ..We are very proud of Lois and all of our members who donate their time to the community. We recently purchased a home at Crystal Springs in Hardyston, NJ. Lois and John were with us every step of the way. They are very knowledgeable, professional and a pleasure to work with. Down-to-earth, kind and always smiling…that is how I would describe their demeanor. They went out of their way to make us feel comfortable and like family. We were truly fortunate to have worked with them during our buying experience. They kept us informed throughout the entire process, offered suggestions, gave guidance, and were our biggest advocates as we navigated our way through the obstacles most home buyers find along the way to their purchase. We cannot thank them enough for all of their assistance and are thoroughly enjoying our new home!! We would highly recommend both Lois and John as your realtors of choice. 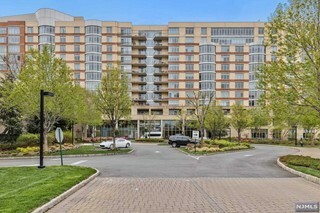 I have known Lois and John for over 9 years as they represented the seller when I bought this same condo at Legend Hills. They acted as Disclosed Dual Agents. I was tremendously impressed with their professionalism and honesty; two qualities of realtors that are hard to find these days. After buying the condo, I chose them to represent me in its rental. Over the years, they rented it 3 times to excellent tenants. Finally, when I recently decided to sell this property, they staged it perfectly, brought in a professional team of photographers (who they directed), hosted open houses and recently sold my home in a difficult market. I am so grateful to them. They always work tirelessly and were there - not just for every single showing, but throughout the entire process including obtaining the CCO to the final settlement at closing. I thank them and highly recommend them to represent you. 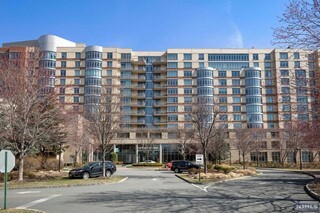 I recently purchased a condo (at The Promenade in Edgewater) with Lois as my buyer’s agent. Lois is knowledgeable of the Edgewater real estate market and was able to provide insight into the differences between the available properties. Lois was patient and answered my many questions in regard to the area and process as I am new to the NJ real estate market. Lois also has many local contacts and was able to recommend a local home inspector, lawyer and a bank that was able to guide me through a quick closing process. 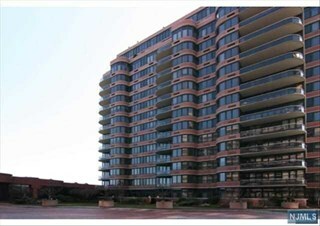 I would recommend Lois to anyone looking for real estate in the Edgewater area. 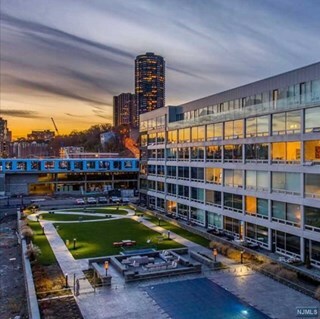 My wife and I needed to hire an experienced real estate agent to help us sell our condo at The Cliffhouse in Cliffside Park, NJ and help us find a new home in Bergen County. So when we needed to sell in order to purchase our "dream home", Lois and John assured us they they could do it. They worked tirelessly and energetically to stage our home; that is, to make it like a model home. We thought they wanted us to tidy up, but when they came with carloads of artwork and spent an entire day re-arranging furniture, hanging art and accessorizing from their own inventory, we were floored. The amount of decorative items & artwork they lent us at no cost; the time they spent putting it together, helping us with paint selections and guiding us (many times against my better judgment) was amazing. I work in the ultra-luxury automobile industry, but never did I think that branding and image were so important with real estate. Fortunately, for us, John and Lois did. They ran interference with the attorneys and the buyer's agent and negotiated a great deal for us when we found our new home in Bergen County. While I doubted him at times, I quickly realized I was wrong and found the recommendations they provided helped us get a great price on both sides. They were sensational. We closed both deals and could not be more pleased with the skills and expertise of John and Lois. To prove this point, we have referred them to my brother who has since hired them to sell his home and find another. I’ve known Lois Fein since her days as an Edgewater Councilwoman (?) and neighborhood realtor. It was only natural that when I was getting ready to sell my home on Leary Lane in Edgewater to contact The Lois & John Realtor Team. They took me through this extremely important transaction with ease, knowledge and genuine caring. John took the time to explain the importance of staging and proceeded to get my home ready for sale. 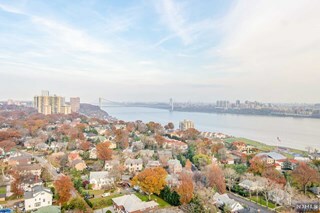 Being so connected to the Edgewater and Bergen County community helped as they were familiar not only the market, but also with their fellow realtors. They conducted a few open houses, listed my home on all of the appropriate websites, created a beautiful sell sheet and sent out a postcard mailing. My house sold in a timely manner for the price we were comfortable with. All in all, a great experience with conversations and updates all along the way. I would recommend them without hesitation. My wife Cindy and I have selected John and Lois to represent us for 4 separate real estate transactions over the last few years, ranging from listing agent to buyers agent. All transactions were a huge success and John and Lois played an integral role in all of the deals. 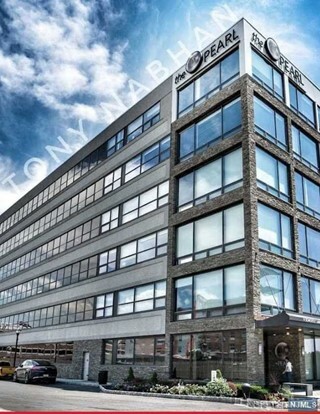 Their attention to detail, market savvy and thorough understanding of the Bergen County Real Estate Market makes them a “must use” for all of your Real Estate Representation needs. We highly recommend them and guarantee you will be satisfied with their performance. Thank you so much for helping us find the perfect home! We have been settled in for coupe of weeks now and are enjoying the gorgeous views. We decided to change our lifestyle and a lot of things in this process were unknown to us. Your expertise, experience, and patience helped us and we appreciate it. Thank you and John for your excellent service. difficult to be at my Admiral’s Walk unit to help with the sale. As it turned out, I wasn't needed. Lois and John took care of everything. They met with contractors and inspectors, cleaned and staged the unit, took care of any other incidentals and negotiated the best price. They were a pleasure to work with and I highly recommend them. "You won't be DISAPPOINTED"
"If you want your home sold quickly and for the right price, John and Lois are your realtors. Their knowledge of how to stage homes and drive demand drove us to choose them, and we were rewarded with a lightning quick sale - where everyone ended up happy."